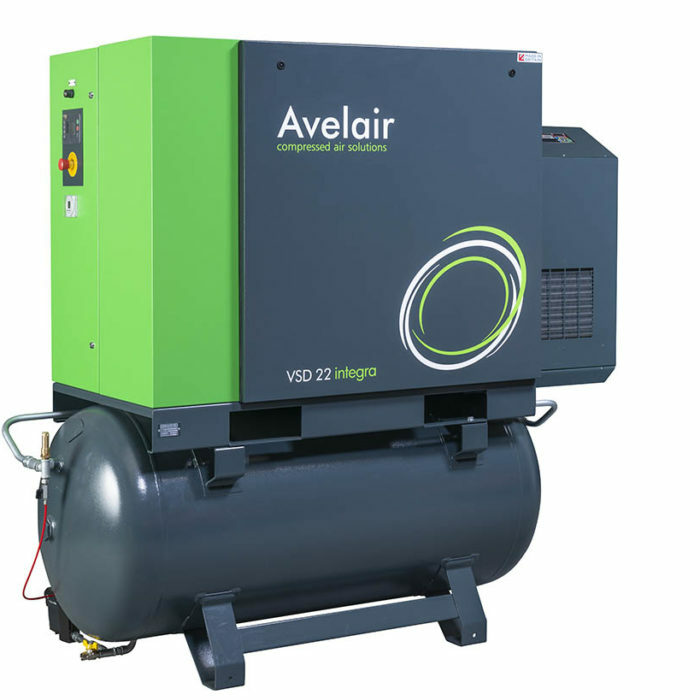 The innovative evo / VSD Integra range is a highly efficient and reliable receiver mounted rotary screw air compressor with built on refrigerant dryer and filtration. Add further air treatment as required – see additional options below. 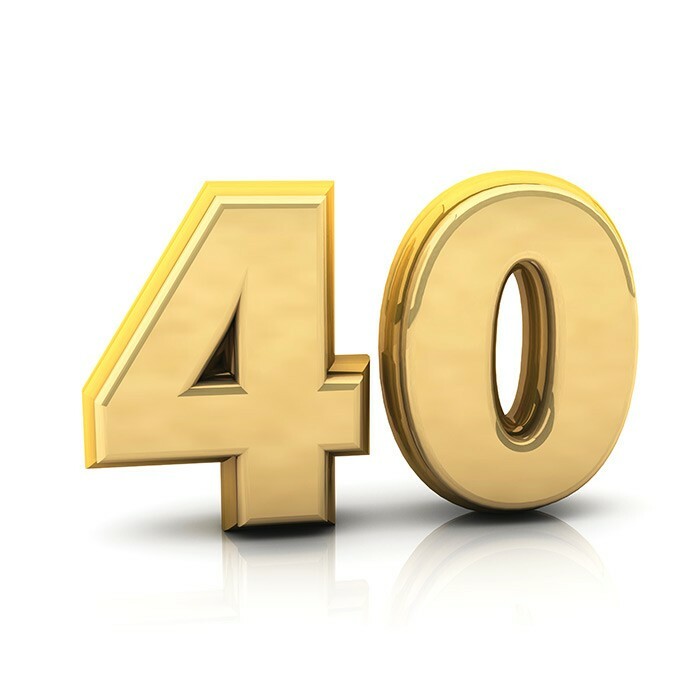 When compressed air cools after compression, water is precipitated in the form of an oily condensate. This can travel downstream in the pipe work where it can damage equipment and cause product spoilage. 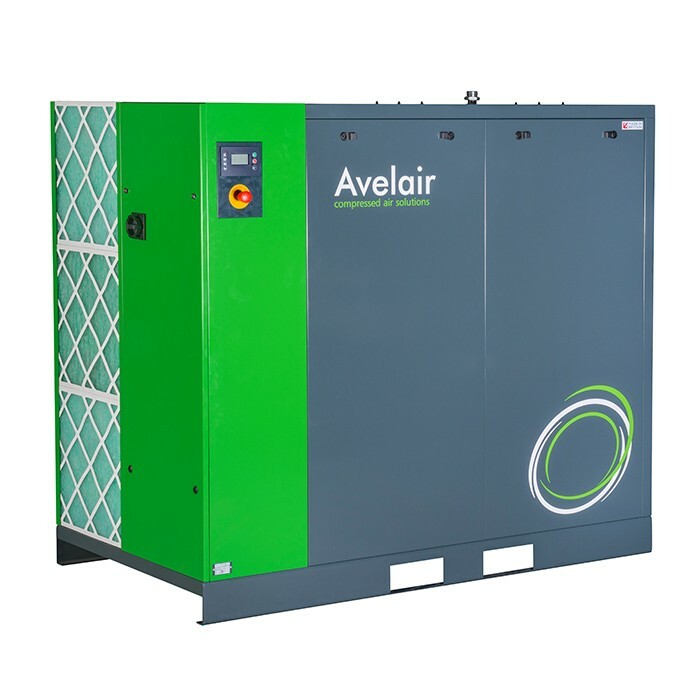 The Avelair refrigerant dryer will remove this moisture down to 3˚C dewpoint and offers protection to your downstream equipment, product and services. 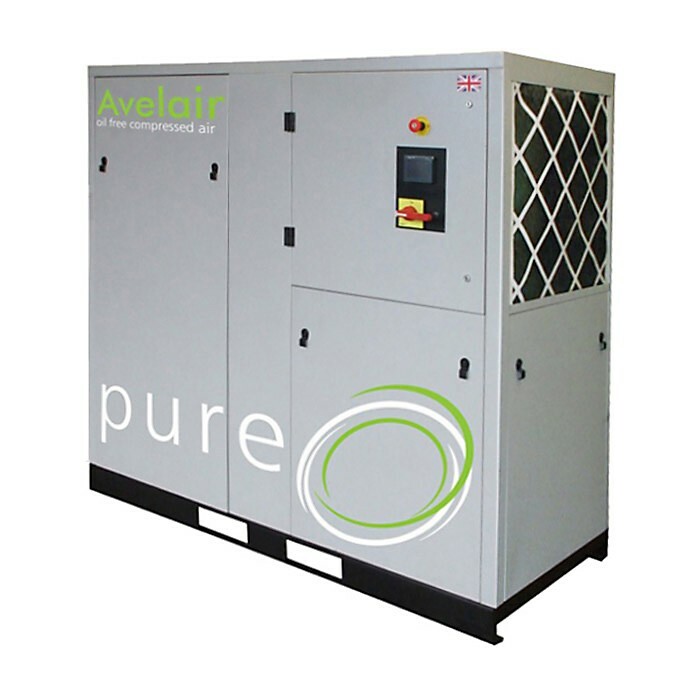 Oil and hydrocarbons from the ambient air and the compression process are carried across into the compressed air. 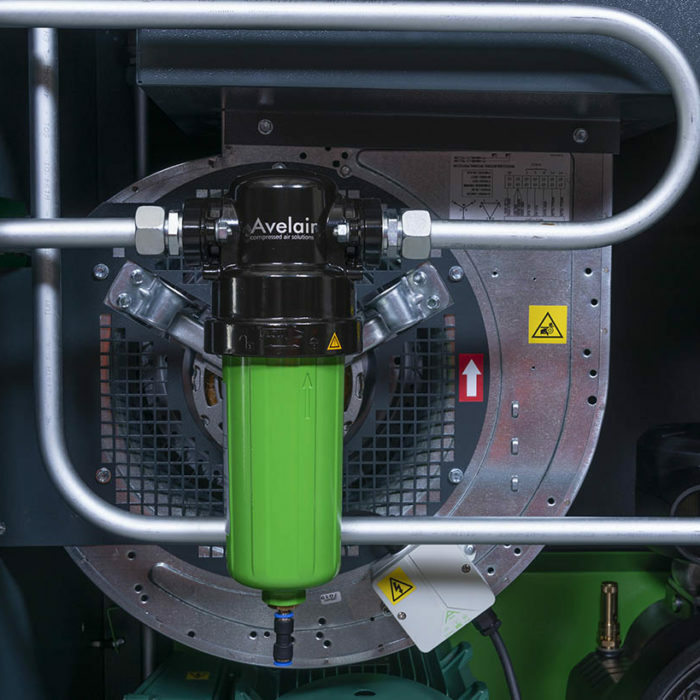 The Avelair in line filters remove this contaminant from the system and will prevent damage to equipment, product spoilage and services. Add alternative options below to ensure the Integra range meets your requirements. 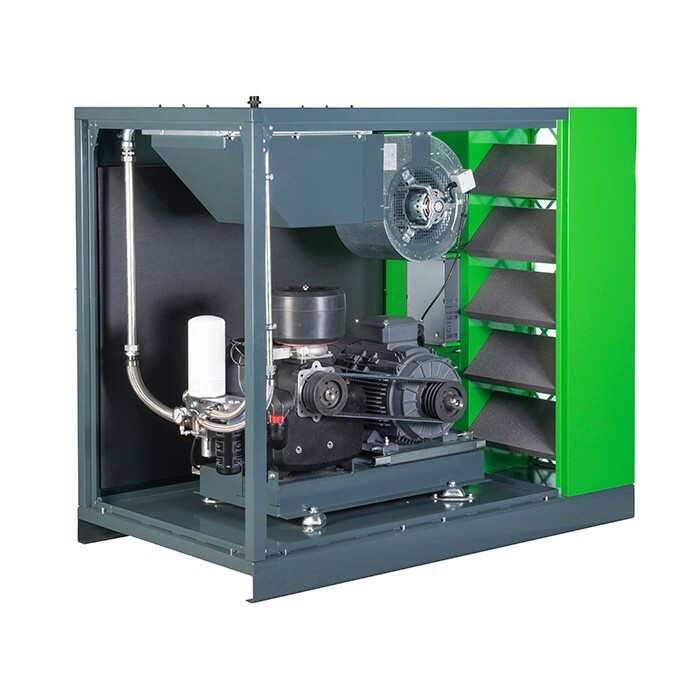 The desiccant dryer will reduce the dewpoint down to -40˚C offering very dry air for outside or critical applications. The breathing air pack removes water and water vapour, oil and oil vapours, particles, carbon dioxide, nitrogen dioxide, sulphur dioxide, and carbon monoxide in line with BS EN 12021:2014. 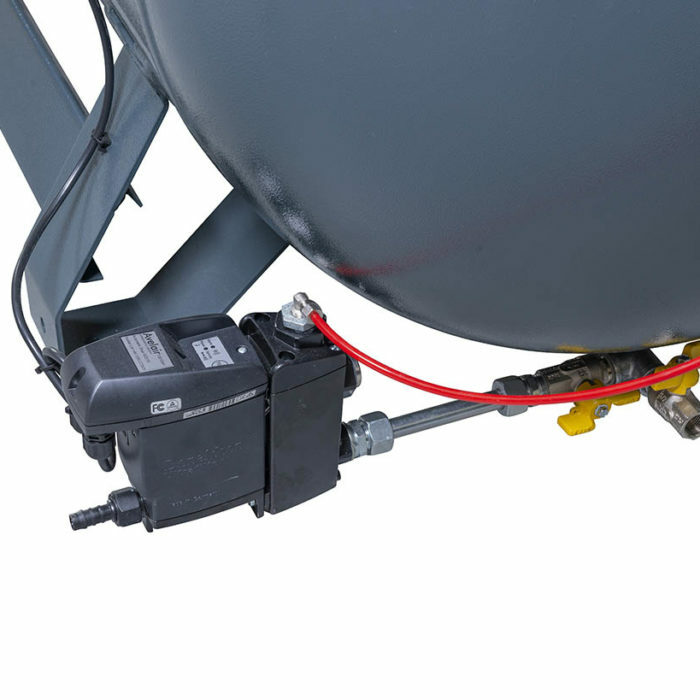 Oily water will condensate in the receiver as the compressed air cools. A condensate drain will automatically remove this condensate from the receiver. This condensate needs to be removed otherwise it will be pushed downstream in the compressed air and the storage receiver will fill up with condensate and reduce it’s storage capacity. The condensate removed by the dryer, filtration and drain is a contaminated liquid and hence needs to be dealt with effectively. The Condensate Management System will collect this contaminant and will purify it to the legal discharge limits for a foul sewer drain. 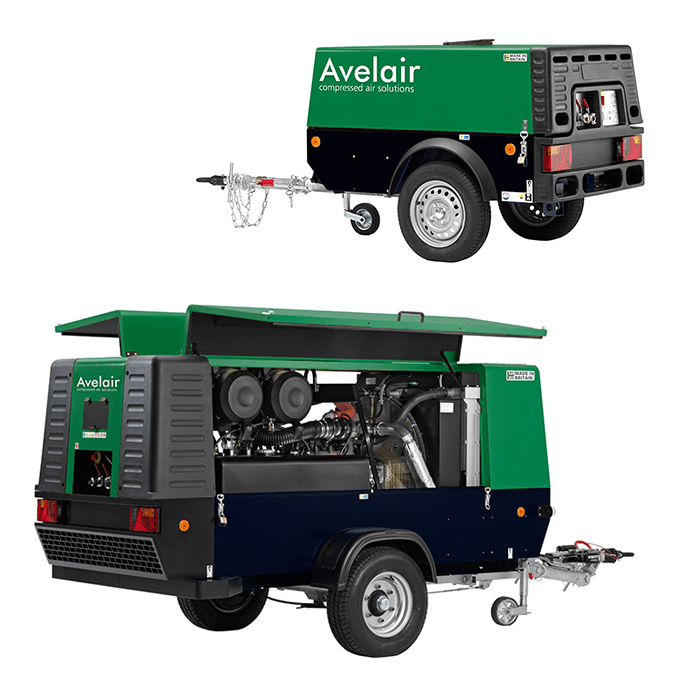 Avelair run a continuous improvement program and as such details are subject to change without notice.